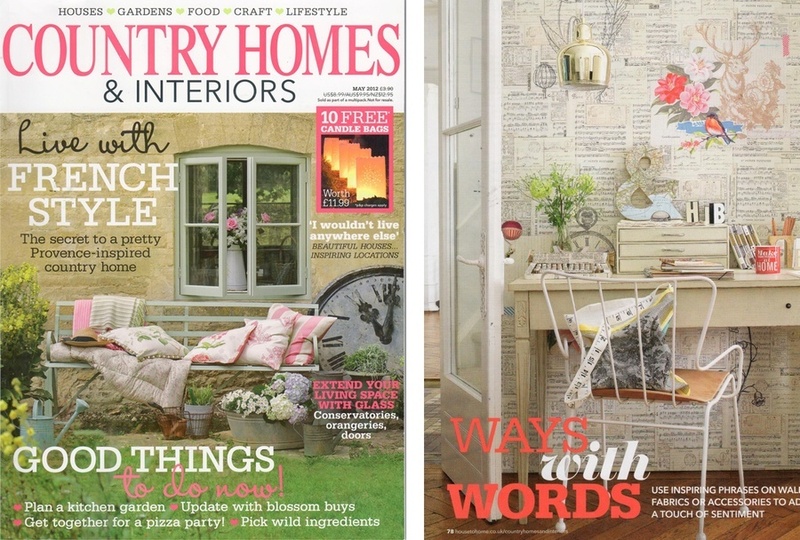 Bombus wooden map letters featured in country home and Interiors Magazine. Use inspiring phrases on walls, fabrics or accessories to add a touch of sentiment. Out vintage map letter ampersand featured in this beautiful home crafting desk photo.